Want a cool new way to color Easter eggs? 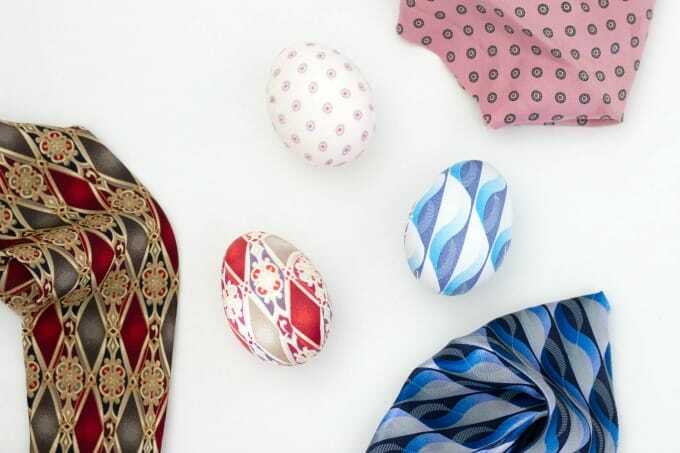 Make all kinds of crazy patterns with these fun silk tie Easter eggs! 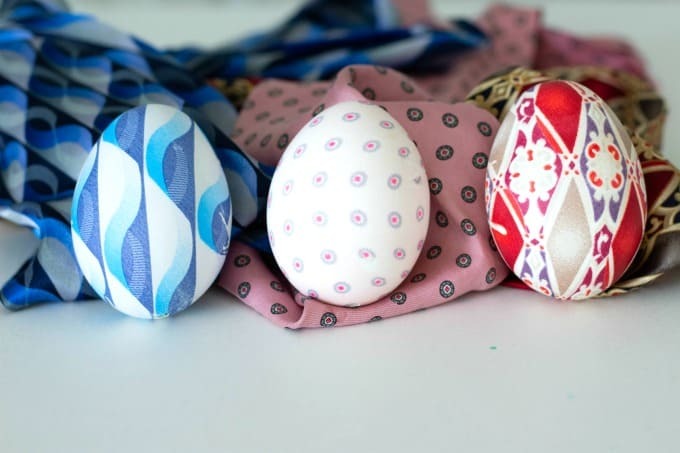 When I first saw these silk tie Easter eggs on Martha Stewart’s site a couple years ago, I wanted to make them immediately. Seriously, how cool is this idea? Well, Easter came and went and I never got around to it. Last year I even bought the ties…but still never found the time. I had a gazillion different Easter egg decorating ideas but could only do so many. The ties got stuffed into a drawer and forgotten. Now that Easter has rolled around again, I was determined to make these no matter what. It’s my third year sharing Easter Egg ideas on Sarasota’s Suncoast View (and this year I’m co-hosting too…yay!). I wanted some Easter eggs that would “WOW” them! 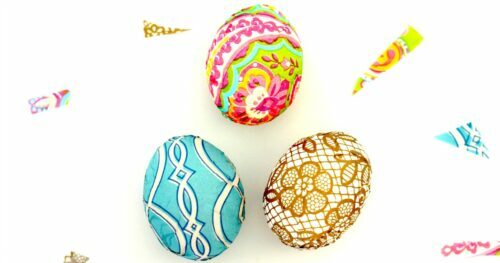 Dying Easter eggs with silk ties sounded fun and once I made one, I was totally hooked! 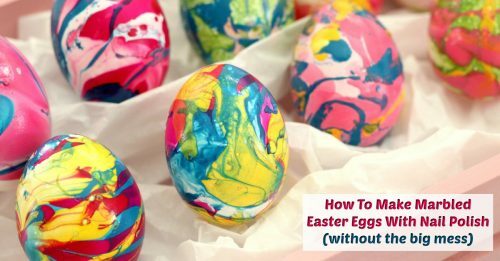 It’s actually pretty easy to make silk tie Easter eggs. Of course, you’ll need to start by finding some ties. 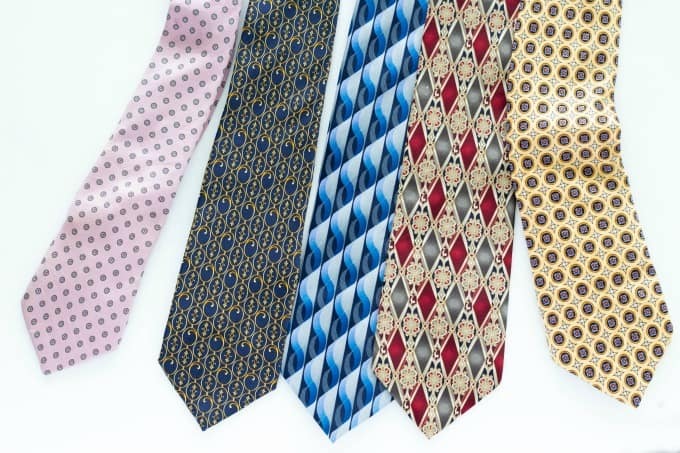 The good thing is that you don’t have to spend a ton of money buying silk ties. Just head to a thrift store or Goodwill. I picked mine up at Goodwill super cheap! When you’re shopping, just be sure to double check that the ties you choose are 100% silk. If you don’t see the label on the back, check the skinny end of the tie. 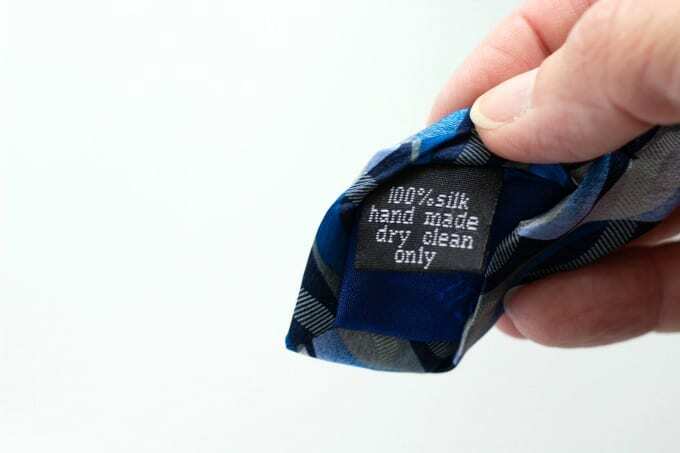 If it says 100% silk, you’re ready to roll! Cut the seams of the tie and pull out the liner. Wrap fabric around the egg, with the printed side touching the egg and the lighter side facing out. Secure with a rubber band. 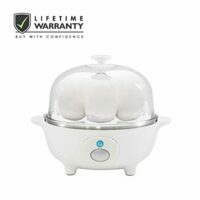 You'll have a few "wrinkly spots) where the rubber band is so if you secure it at the bottom, the top side of the egg will look best. If you secure the rubber band at the back, the front side will look best. 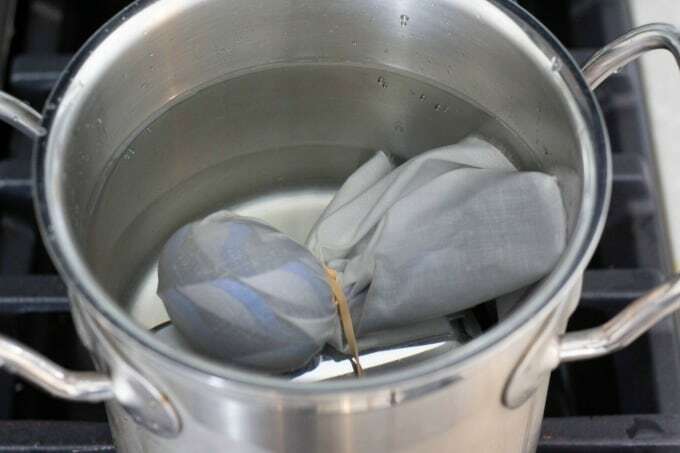 Next, wrap the egg in a piece of white cotton fabric and secure with another rubber band. 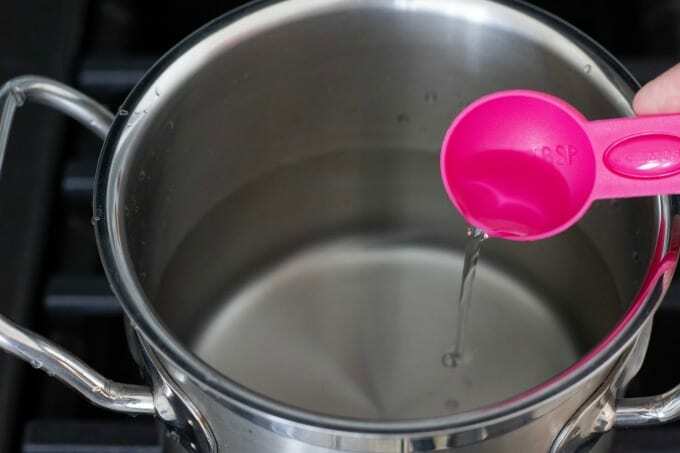 Fill saucepan enough to cover egg(s) and add 3 tbsp vinegar. Remove from heat. 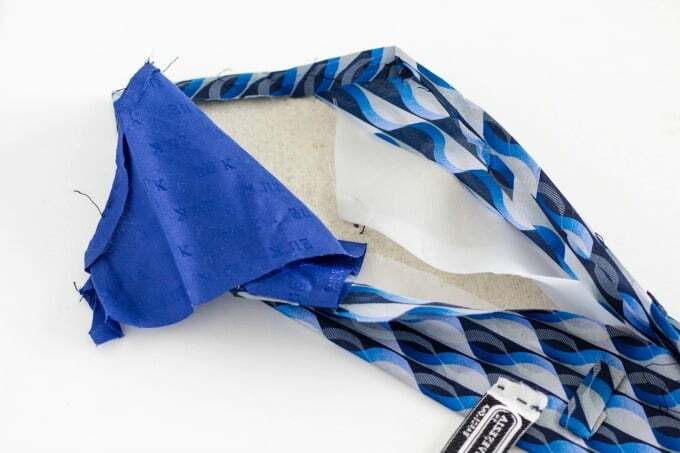 Once cool, take off the fabric to reveal your masterpiece! I love the fact that you can make a different pattern every time and these turned out awesome! I can’t wait to make more! 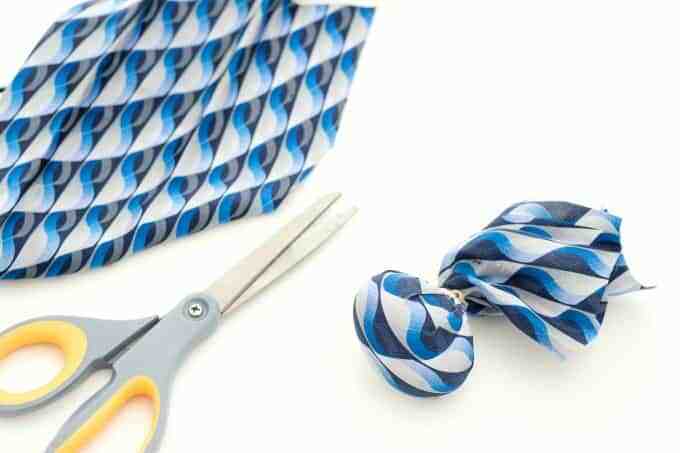 Can you use any kind of tie to make silk tie Easter eggs? 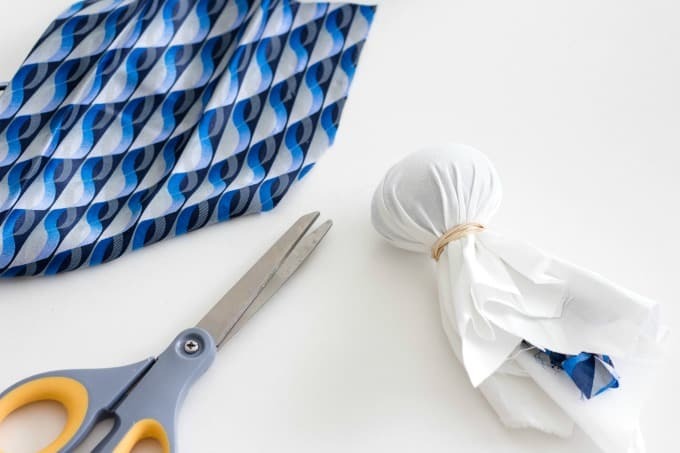 No, the tie has to be 100% silk for the pattern to transfer like you’ll want it to. 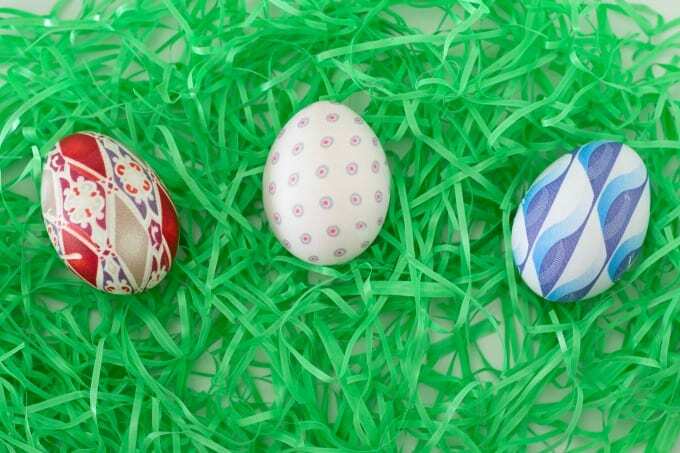 Can you eat Easter eggs made with silk ties? No, you shouldn’t eat these. Do certain colors work better when making silk tie eggs? The darker the tie, the better the transfer. Light ones may still work but the colors won’t be as bold. 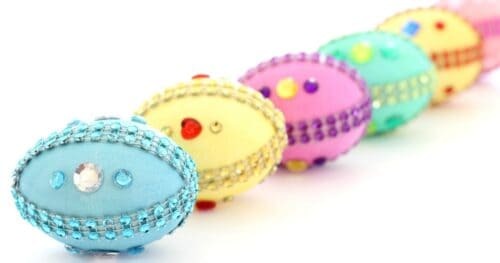 I love these eggs and they make such pretty Easter decor! Plus, it’s fun to hear the oohs and aahs of the kids as you unwrap the eggs to see how they turned out! Have you tried making these before? What’s your favorite technique for decorating Easter eggs? 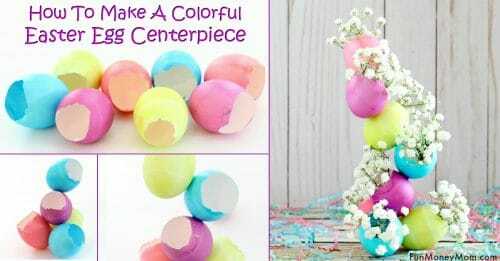 If you liked this fun Easter idea, you may want to check these out too!